Wonderful weekend for us in Bruges! As in showing it is a lot of times one day up and one day down, so we cherish the good moment. At one point the results don’t even matter because whatever the results, I love to see our horses in show! Naphis Masai Mara our little dancing queen and Ann Margret UMM. Sometimes it’s fun to believe in luck! 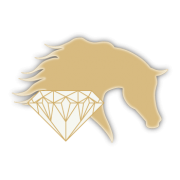 A big thank you to Al Kashab Stud to offer 1 breeding from Shakar Pegasus at the show! 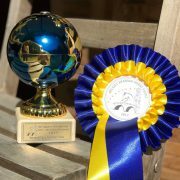 We are very very happy to have won the breeding from this extraordinary young stallion! And of course always thank you to Schoukens Training Center! Dreams do come true for those who dare to believe in themselves… We are more then happy to welcome Naphis Palestra (Shanghai EA x Porlain el Marwteyn). This filly we have tried to make from so many years… Never stop dreaming!